The Hobbit, The Lord of the Rings, and Tolkien - The One Ring • View topic - Democrats, dost thou know where thou art? Democrats, dost thou know where thou art? Re: Democrats, dost thou know where thou art? hamlet wrote: I am breezing in here only for a moment to point out that, while folks like Protia and JNyusa may have faced discouragment in their lives and professions (which is very bad, don't get me wrong), men/boys face something just as bad in many ways. We are trained from childhood that we are expected to be certain things and if we are not, we are unmanly. Try being an administrator/secretary and having a Y chromosome. That's true enough, but note that Secretaries make way less than Bosses. Little girls are expected to be one, Little boys the other. That's kind of what we're talking about, the way gender stereotyping shunts people into different roles. I'd also say that I think this is much less now than it used to be, and hopefully is continuing in decline, but we can't discount it's reality. Believe me. I am keenly aware of what secrataries make compared to bosses. My paycheck is a testament to that reality. Hamlet, I had a similar discussion with a friend a few years ago who said very much what you are saying - that the expectations placed on men are also dehumanizing, and I have to agree with both of you. In my classes it is very evident that while the number of female doctors is climbing, the number of male nurses and physiotherapists is not. But men are very good in those professions and the pay is attractive enough these days. (Starting salary with a Bachelor's Degree is ~ $70K). I can't even say that the pay is a serious discouragement compared to doctors' salaries, because the doctors are coming out of med school with a quarter million dollars in debt, and capitalizing a state-of-the art private practice these days is like outfitting a space ship. By the time they are in their fifties, the doctors have pulled ahead salary-wise, but that's a long time to wait for a ship to come in. It's purely social perception, I think, that stops the surge of men into these other health professions. They are perceived to be jobs for women. I have to be very, very careful never to use the term "male nurse" because that's gender discrimination right there in a bottle, and it's a bias against men doing something where many of them would excel. Despite huge donations from the Service Employees International Union and numerous blog posts advocating for unionization in other industries, Media Matters for America is actively resisting allowing its workers to join the union. I realize that it is normally OK to just accept a card campaign for unionization, but there is no requirement to do so. What was the number of cards? I personally prefer secret ballots for this sort of thing and have no criticism to make of an employer who wants to be sure of the vote. For me, this story carries no criticism, even with it's tone. The secret ballot is fine. See, Jn, that's kind of the problem. The disparity is decried on one hand and ignored on the other. Gender roles, employment, and our own psyches are a very touchy, squishy, and unhappy topic. Just wait till you throw identity issues into that pot, too. Maybe my friends and I though are just a crazy lot. Hamlet wrote: The disparity is decried on one hand and ignored on the other. I think that is true right now, Hamlet, but there are two things that have contributed to that in the past and are changing even as we speak. First is the fact that the economic consequences for women, say, forty years ago when I entered the work force, were really severe. Our pay at that point was closer to $0.50 on the dollar. I don't think it was any easier psychologically to be a man but it was a lot easier economically, and as more women became heads of households because of liberalizing divorce laws, the economic disparity had immediacy and received the most attention. But then because more women were entering the work force, and men were having to take over new household roles, it became impractical to discriminate in favor of women on issues like cafeteria benefits and family leave. So we've seen in the past two decades more parity in family-related perquisites, and that trend will continue to increase, I believe, even as the pay issue becomes less important because greater parity there has already been achieved. But you see that it took forty years to get from 50% to 80% in women's pay (for whatever reasons are involved), and it will take time for the psychology of gender roles to ease for men as well. It is extremely unpleasant to be in an underclass but I think all of us find ourselves in some underclass during our lives and we just have to keep striving to overcome those fetters. portia wrote: For me, this story carries no criticism, even with it's tone. The secret ballot is fine. Media Matters advocates for unions and card check, but when union tries to unionize Media Matters employees, Media Matters resists and tries to force secret ballot. This is 'fine'. Nothing to criticize about hypocrisy coming from Democrats and supported by their enablers. (CNN) – For the sixth year in a row, President Barack Obama has broken his promise to the Armenian community, made when seeking their votes as a senator and a presidential candidate, to use the word “genocide” to describe the massacre of an estimated 1.5 million Armenians at the hands of the Ottoman Empire a century ago. He did this in deference to the government of Turkey, which – historical revisionism aside – the Obama administration regards as a more crucial ally. "It's a sad spectacle to see our President, who came into office having promised to recognize the Armenian Genocide, reduced to enforcing a foreign government's gag-rule on what our country can say about a genocide so very thoroughly documented in our own nation's archives,” Armenian National Committee of America executive director Aram Hamparian said in a statement. “We remain profoundly disappointed that he has, once again, retreated from his own promises and fallen short of the principled stand taken by previous presidents,” Hamparian said. I note that you left off what the Pres actually said. If someone thinks that "genocide" is a magic word, like "abracadabra" or "bob's your uncle" or some such, they (including the Turkish diplomats) are entitled to their own opinion. But it is now 99 years since the masacres, and Armenian Americans and Turkish Americans have other things involving Turkey to worry about. Objecting to the word "genocide" or insisting on it are both empty gestures. portia wrote: I note that you left off what the Pres actually said. It's in the link. If you think it is important, you can always quote it. Much like Obama is an empty suit. But I doubt you would have said that at the time Obama made his promise and criticisms. Actuaslly, I did say that, tho' not here. My comment was that he cannot use the word "genocide" as long as he wants Turkey for an ally. And I was surprised that someone didn't warn him off. Avoiding the word "genocide" is pretty useless, as people who know about what happened will have their own opinions, and not be influenced by what the Pres. says or doesn't say. Substituting a neutral euphemism for a loaded word does not conceal what you are trying to say; it just lowers the heat a bit. What you say is true. I've always considered myself a feminist in that I believe in, if you'll forgive me a bit of sloganeering, equal pay for equal work and equal treatment. To me, that's an absolute fundamental aspect of how things should be but even today aren't in palces. However, I've been told by some that I'm not a feminist because I dare to point out that, in ways, men have a tough time today even if it's not a matter of pay differential. And it's actually the same for women as well. Little boys are taught from a very young age that they are "supposed to be" active, aggressive, competitive, etc. If they're not, then they're . . . well . . . I can't even really type it out here without rankling somebody, but you can probably fill in that blank spot. Likewise, girls are taught to be retiring, passive, and wait for somebody to support them. It's a part of almost literally every story we tell our kids, every form of entertainment, and it is, quite literally, a part of our genetics. Our genetic makeup is simply not equipped to handle modern realities today and, likewise, our discourse is 20 years behind, I think, in the same discourse. We're still talking, to a certain extent, about the wrong things. We're talking about a symptom, and admittedly a serious symptom, but a symptom nonetheless of the larger issue at hand. That's pretty much all I wanted to point out on that topic and I'll retire before I derail this thread from its typical bashing of those who disagree with us on the color of excrement. I think what you say is true, although there are a lot of signs of change. The problem is that we are all in the middle of a fundamental transition in attitudes. Some are not with the program and display signs of preferrng male dominance, and some are far ahead of the pack and do not tolerate different treatment. Portia, you want a fun experiment? Go back and start watching Disney movies from the beginning again. Count up on your fingers the number of times that a movie didn't involve requiring a man/father figure to actually solve the movie's problems and permitted the female characters to actually act as opposed to react and become "distressed damsels." No, seriously. Do it. You won't need more than one hand. One finger, actually. Disney films are not--thank heaven-- mirrors of our time. They tend to be about a generation behind. Possibly more up to date are the TV shows. These seem to be more even handed in the matter of who solves the controversy. portia wrote: Possibly more up to date are the TV shows. These seem to be more even handed in the matter of who solves the controversy. While Disney flicks might be a bit behind the times (and let's face it, they probbaly are on a lot of levels), television isn't any better. it's just less obvious because they're going after a different audience. Take some time and really examine the portrayals of women in modern television. Really. You'll get disgusted after about two hours of tv time. Actually, I get disgusted with portrayals of male characters, too. I dunno, I think Homer Simpson is the role model for a lot of us. At least, I seem to remember a large group of people around here with an unhealthy doughnut fixation. I think we may watch different TV shows. 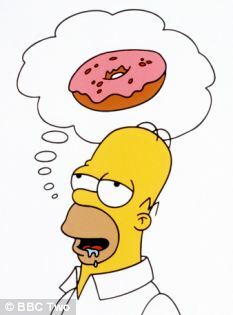 GlassHouse wrote: I dunno, I think Homer Simpson is the role model for a lot of us. At least, I seem to remember a large group of people around here with an unhealthy doughnut fixation. Ya gotta eat something when theres no floor pie. Often there is an assumption that the Secretary is not doing any "heavy lifting" in the organization. Sometimes that is not the case, as the supposed Executive could not funtion without the Secretary. However, there is an assumption that, since the Secretary is a female, she is less important to the organization.The assumptions get confused and no-one can really figure out who should be paid what. ecretaries who are paid a lot less seem to me to be suffering from the assumption that the Secretary is less crucial to the operation. If a male has that title, then he suffers by it, too. Former President Bill Clinton endorsed Rep. Charles Rangel for a 23rd term, giving the veteran New York Democrat a boost ahead of a tough primary. Rangel, 83, is an icon in Harlem and New York politics. Who to believe about Hillary's head injury? The former president revealed that his wife’s injury “required six months of very serious work to get over,” he said during a question-and-answer session at the Peterson Foundation in Washington. But Bill Clinton’s timeline appears to differ from official comments from the State Department at the time. “Judging by the woman we saw this morning and the workload that she’s got she seems to be fully recovered,” spokeswoman Victoria Nuland told reporters at a State Department briefing Jan. 7, 2013, about a month after Hillary Clinton’s fall and concussion occurred. Anyone can have an opinion on how someone else is doing his/her job and how well screwed-on his/her head is. This far ahead of the election, it is a non-issue. portia wrote: Anyone can have an opinion on how someone else is doing his/her job and how well screwed-on his/her head is. This far ahead of the election, it is a non-issue. Gee. . . I had the impression that we were discussing Hilary Clinton. Was the subject someone else? If so, who? portia wrote: Gee. . . I had the impression that we were discussing Hilary Clinton. Was the subject someone else? If so, who? I thought I was writing about Democrat liars such as perjurer and serial sexual harasser beloved Democrat hero, Bill Clinton, and Hillary's lying State Department apparatchiks, and which should be believed. But you being psychic and all must know better. This far ahead of the election, it is a non-issue. You have learned your lessons well, it is always too soon, until it is too late. Yes, by all means, I hope Republicans continue to put full faith in whatever it is Karl Rove says!!! It's actually even more fun for a guy in the position. A guy working in an administrative position is looked down on even more for "doing women's work" so to speak. Frequently, at least around here, they make less than the actual secretaries because of this. I think he may have been hit on the head and suffered a severe concussion.